In recent seasons, Jurgen Klopp has gained a reputation for being a manager that wins the big games, but loses to the smaller teams. But tonight, Klopp proved he could do it on a wet cold Thursday night in Stoke. 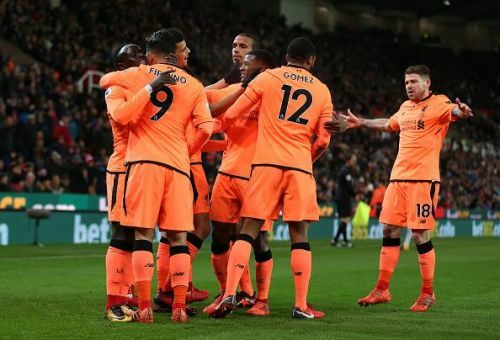 Liverpool staked a strong claim for top-4 qualification, with a confident 3-0 win over Stoke City at the Bet 365 Stadium. Goals from Sadio Mane and Mohammed Salah (2) were enough to give the Reds all 3 points. The result leaves Liverpool in 5th place, only two points behind Arsenal, while Mark Hughes’ men have now dropped into 16th place, a worrying 3 points above the relegation zone. The 34-year-old started the game in relatively confident fashion but it’s hard to sustain a good performance when your defence seems to let every Liverpool attack through on goal. Grant ended up making 4 saves, and conceded a disappointing 3 goals. The Chelsea loanee tried his best to limit Liverpool’s counter-attacking threat, but he was always overloaded. The Frenchman was still able to win 4 aerials, complete 4 tackles and make 5 interceptions. The Stoke captain tried his best to lead from the back, but he was often found lacking in his positioning. Indi was quite easily the weak link of the back three, as Alex Oxlade-Chamberlain regularly ran past the Dutchman, beating him for pace with ease. 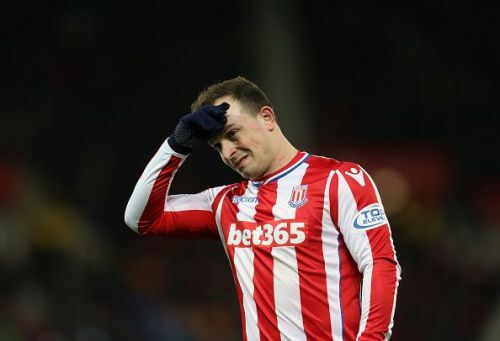 Mark Hughes has insisted on playing Diouf at wing-back this season, but the striker was certainly much more comfortable when asked to play at ST. However, the switch came too late for the 29-year-old make any difference. Since arriving at Stoke, Fletcher has adopted more creative responsibility in midfield. Against Liverpool, the 33-year-old completed 21 passes. The Welshman was the one creative spark for the Potters in attack. Allen missed two glorious chances for Stoke, but at least he had the tactical nous to create those opportunities. Pieters had his work cut out trying to defend against the 2v1 overloads of Alex Oxlade-Chamberlain and Joe Gomez. Unfortunately, he wasn’t able to cope, only making 1 tackle throughout the game. The Swiss winger slowly came into the game but by the time he was firing, the damage had already been done. The 26-year-old completed 2 successful take-ons, completed 25 passes and attempted 2 shots on goal. Choupo-Moting was a nuisance up front for Lovren and Matip, regularly pressing and challenging them. However, besides that, the Cameroon international didn’t provide much in attack. 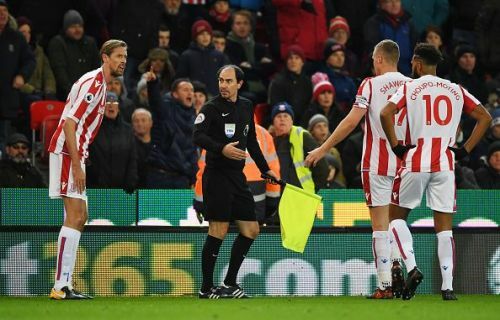 In one of only his few starts of the season, Crouch proved he could still be effective at the golden age of 36. The near 7-footer completed 2 successful take-ons, created 1 chance and won an astonishing 18 aerial duels. The Spaniard did not have enough time to influence the game. Charlie Adam came on to sure up the midfield in the dying minutes of the game, but the damage had already been done.